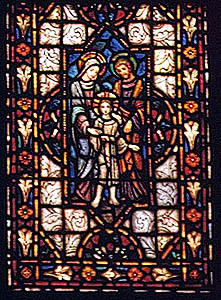 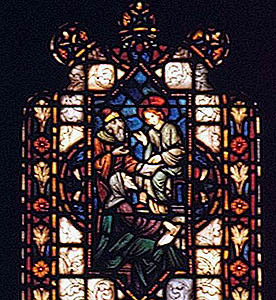 Brief Description of Subject: This window depicts the Divine Child. 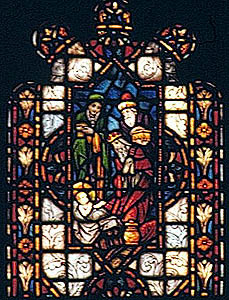 On the left-upper is the Adoration of the Magi and the left-lower is the Flight into Egypt. 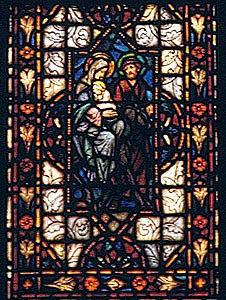 On the right-upper is Christ among the Doctors and the right-lower is the Holy Family. 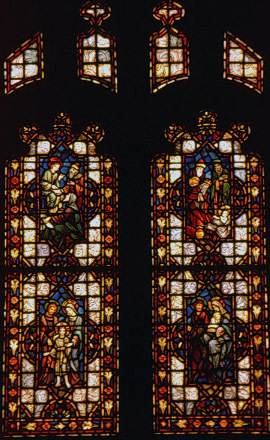 The windows background is white with vitreous and antique with an ornamental border.